I'm a very big gamer and i'm fairly new to understanding hardware. Last week Fortnite changed their settings to where no player could play on stretch Resolution, and when i went to change it back, before i could even do anything, my monitor all of a sudden popped and went into the picture below. One thing i did realize recently is all monitors come stock 60Hz and i never changed mine to 144Hz to match the monitors refresh rate. Ive tried updating the drivers and its no use. Only HDMI from GPU to Monitor works, and all DisplyPorts from the GPU to the monitor come up and show the same screen. Is the monitors panel dead, or is this my GPU? Test the monitor with another device and see if it will work but usually a dead GPU will result int eh computer not even turning on. Or you can test the monitor by using the integrated graphics(assuming your CPU has them) by plugging into the motherboard HDMI/DP output. Test the monitor with another device and see if it will work but usually a dead GPU will result int eh computer not even turning on. tried DP on Motherboard and i got "no signal"
Try removing the GPU and just booting using integrated graphics (again assuming you have them, with Intel you will, but if you are on Ryzen except for the 2200G and 2400G you wont). If the monitor works on that then it is a issue with the DP on the GPU. If the GPU is in fact the issue then a warranty replacement most likely will be needed so contact the manufacturer. If that still fails try a new DP cable, its unlikely the issue but hey you have to rule everything out one thing at a time. If that fails then you know the issue is the monitor. The only thing without warranty replacement of the monitor then would be to try and reset the monitor via the built in setting the monitor and see if that resolves anything. 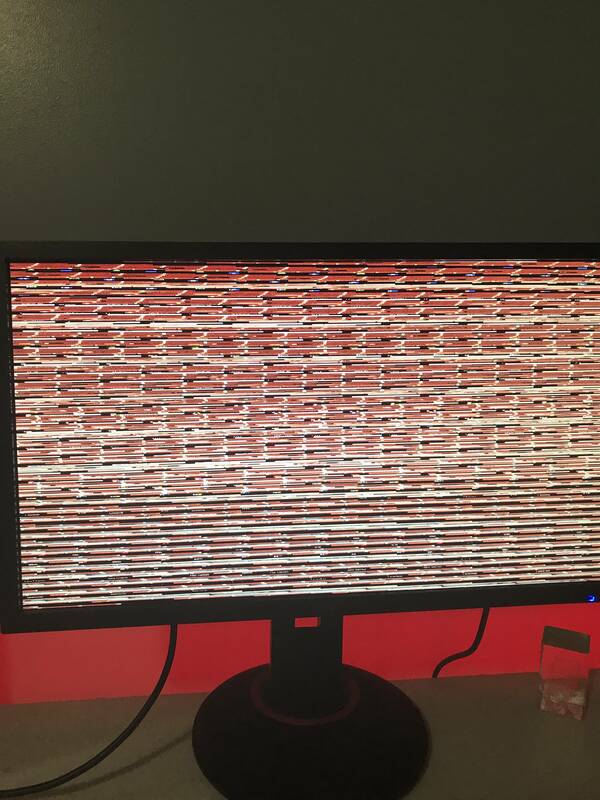 Question What is wrong with this monitor?